Hands down one of the best aprés-ski places in Whistler Village! Since the addition of the newly remodeled outdoor area, there’s plenty of heated and covered space that allows you to enjoy the outdoors even when it’s cold and snowing outside. With 20 draught beers on tap and a sizable wine and scotch list, this place has got everyone covered. My husband’s favorite beer is the Kilkenny Cream and one of my favorites is the Caesar…a Bloody Mary made with Clamato. It might sound a little scary to some but I promise you it’s SO good! 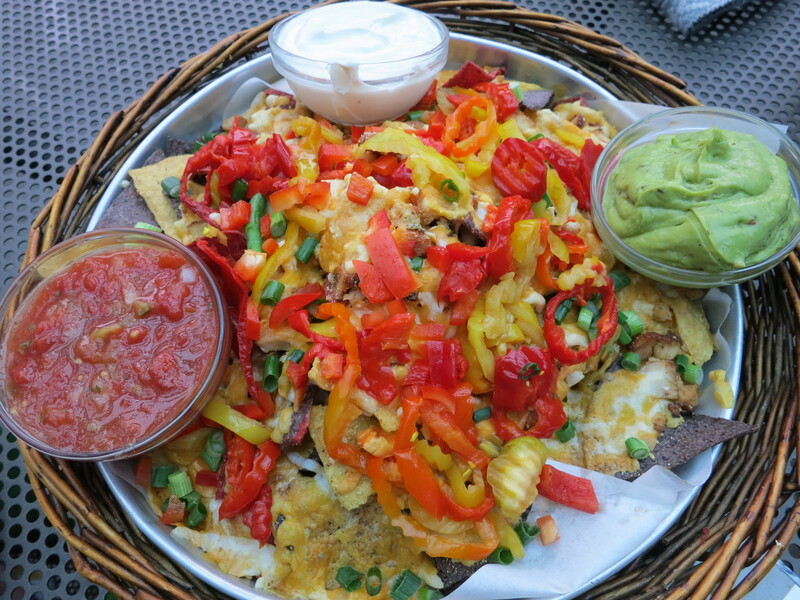 The nachos are as delicious and glutinous as they look:) Perfect for a group especially after a long day of skiing. Other items on the menu that look great to me that I have yet to try are the Fish & Chips, the Guinness Burger, and the Baked Crab & Artichoke Dip. And if you’re lucky you’ll be there to catch some live Irish music!